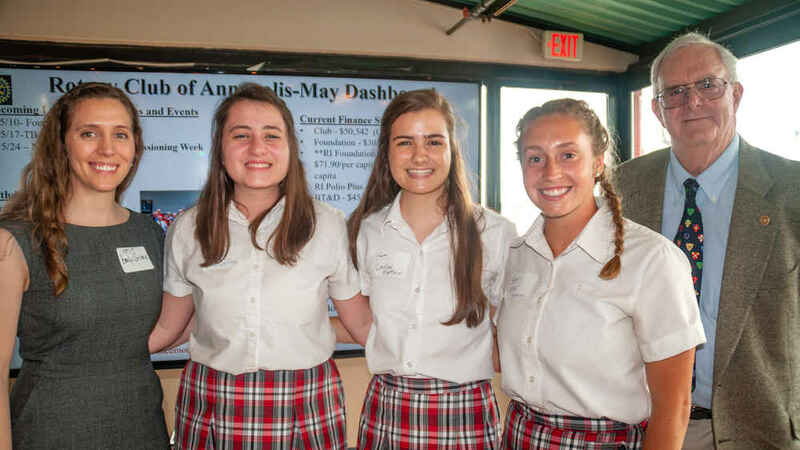 Annapolis, MD (May 29, 2018) – Three students from Rockbridge Academy in Millersville were recognized by the Rotary Club of Annapolis recently as part of a speech competition featuring Rotary International’s Four-Way Test. They included Carolyn Mathews, first; Grace Soltis, second; and Grace Sweeney, third. Annually students in Anne Arundel County public and private high schools can participate in the contest. They each write and present speeches using the Four-Way Test, with judging by a committee of club members selecting the winners. The first place student also competes at a regional level and if that final winner, then moves on to the district competition. Students receive cash rewards depending on their final placement.